How's the new year treating y'all so far? After two weeks of vacation, my daughters went back to school today...and so, I finally got the chance to make my first blog post for 2013! I know I've totally been slacking on blogging during the holidays...and I want to say thanks to everyone who sent emails to check how I was doing. All is well around here...the busy holiday season just took a toll on my blogging schedule. 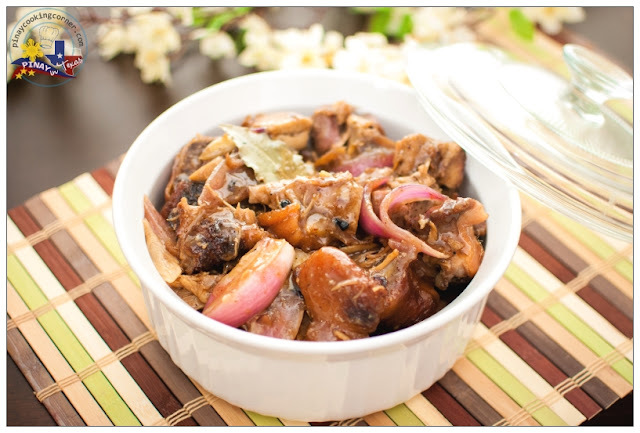 But I am back...and today, I am happy to bring you a favorite Filipino dish called Paksiw na Lechon. Though you can also make sisig, adobo, siopao, lumpia and a lot more from leftover lechon, making paksiw from it is (for me) the best way to enjoy it. It doesn't require much ingredients and you don't have to put much time and effort. You literally just put everything into a pot and voilà!...you have a hearty dish that is even yummier as the roast pork itself. 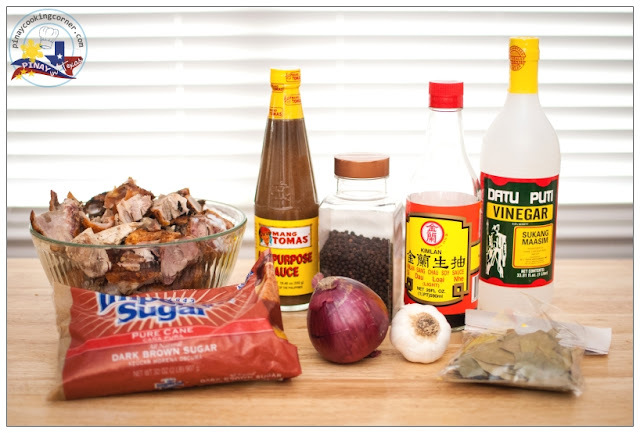 Place lechon and all the other ingredients in a sauce pan over medium high heat. Cover and bring to a boil. Stir well. Adjust to medium heat, cover and simmer for 15 to 20 minutes. Remove from heat and leave covered for a few more minutes for the lechon to absorb the flavors. Serve with hot rice. Happy new year to you and family Tina. This traditional dish looks delicious. I must say that I like paksiw better the lechon itself. All the meltingly tender meat and softened skin on sweetish sourish sauce is just just the best thing with rice with side of patis. I yearn, Tina. Happy New year to you. Looks delicious. 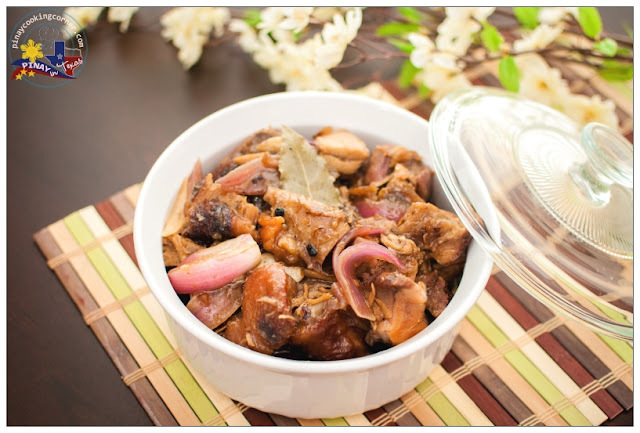 This is the best way to cook the lechon after any fiesta or New Year celebration. Actually I prefer paksiw na lechon than the lechon itself. Happy New Year to you and more success for 2013. Happy New Year Tina! Beautifully cooked pork!